Sometimes, it becomes quite irritating when your browser blocks downloading .exe files. Or rather, it gets downloaded in the wrong format. You might switch on to some other browser and try downloading the same. But Alas! Here also, you are facing the same blocking trouble. Also, you find that the installer blocks the download of only .exe files, where all other files with extensions like .docx, .jpgs, .mp3 etc for documents, pictures and medias get downloaded in the proper format. Also, the new born browsers like those of Microsoft Edge compatible with the Windows 10 operating system behaves the same. In case of Google Chrome, you might find message like installxx.exe Failed-Blocked, while in case of Microsoft Edge, the message This file can’t be downloaded pops up. If you are wondering why this should happen , it is because the browsers feel unsafe when you try to download new .exe files and install them on your system. This is especially in cases of third party apps which might involve inbuilt viruses in them, eventually crashing the whole of your system. 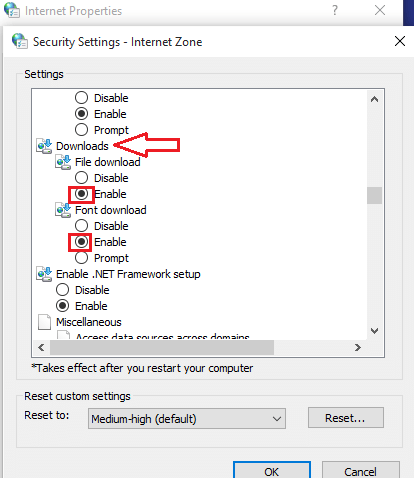 If you need to download even the .exe files, you have to change a few settings in the network. This article will help you troubleshoot such problems. You will have to open up the Internet options to start with. In order to accomplish this, you must type inetcpl.cpl in the search bar that launches Internet Options. 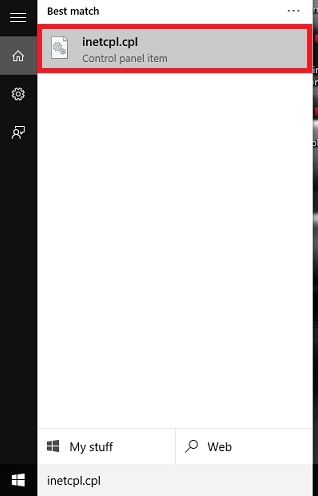 On the window that pops up, you will find a tab named Security in the list of menus appearing on the top. Click on that. 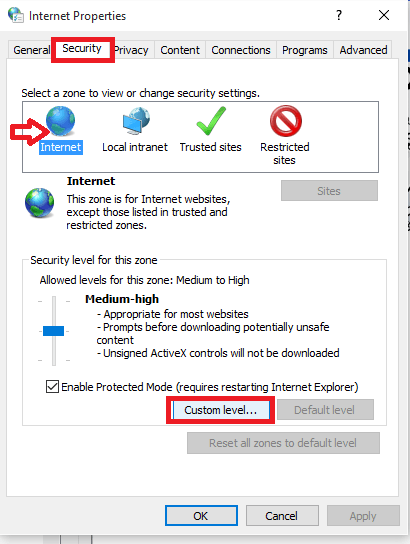 Next, just below it, you will find various zones like Internet,Local Intranet, Trusted Sites and so on.Click on the Internet Zone for the websites. You can change its settings by choosing the Custom Level Settings. This opens up a list of Security Settings. Of all the available options to choose from, scroll down a little to find the subtitle Downloads. Below that, enable the File Downloads and Font Downloads by tapping on the radio buttons to their left. Again scroll down a little to find the subtitle Miscellaneous . 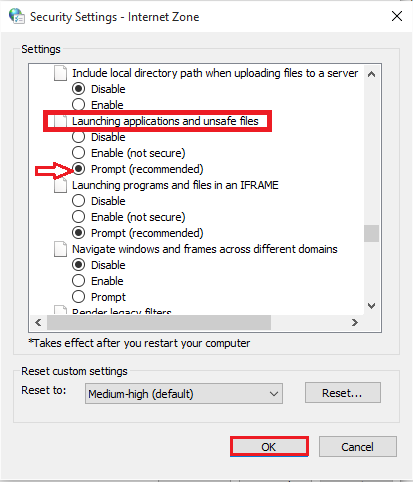 Below it, you will find an option Launching applications and unsafe files. You were previously blocked from downloading .exe files because this was chosen “disabled” by default. Tap on the radio button to the left of Prompt(Recommended). Save your settings once you are done with it. Try downloading any application of type .exe. It will download as intended without further blocking by any of the browsers. Hope this article was useful to you!